I've been keeping a logbook (an idea from Austin Kleon's book, Steal Like an Artist) to document my daily activities or little things I want to remember about a day. 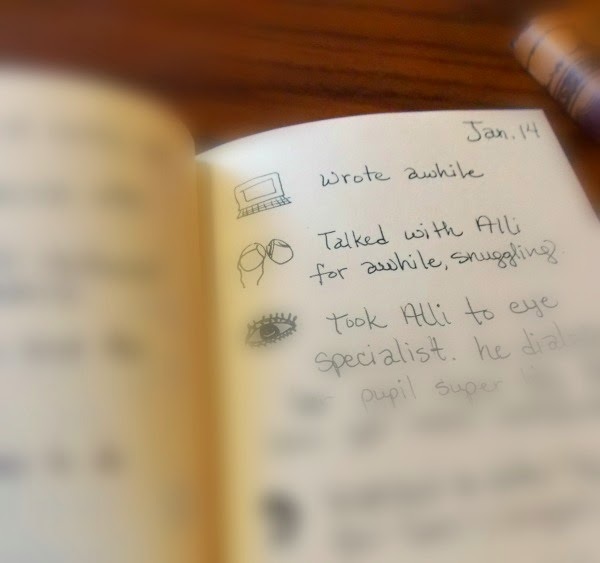 It's easier than a diary because it's just a few things jotted down in list-style ~ and I love lists, also doodling. I've not been so great at my Instagram photo challenge, maybe I'll improve as the year goes on, but for now I'm happy to rely on the log to capture these little glimpses into my day. What is your medium of choice to capture thoughts or moments?